D.T. Brown the mail order vegetable and fruit specialists, have long been friends of the NVS and are often on the lookout for varieties that will perform well on the showbench. Last year D.T. Browns seed buyer Rachel uncovered a variety that she thought had the potential to rival the well-known Beetroot Pablo F1 on the showbench. D.T. Brown launched a special competition which offered growers the chance to try the new Beetroot Subeto F1 and exhibit their results on the showbench, in a special class held at the Harrogate Autumn Show. This competition was such a success that exhibitors were eager to run another competition for 2019 in conjunction with D.T. Brown, using only seed supplied by them. New for 2019 D.T. Brown have launched a fennel competition which will be judged at a special class at the Harrogate Autumn Show held on the 13th-15th September. Although fennel isn’t commonly seen on the showbench, the competition will be an opportunity to try something new and great “leveller” challenge where all entrants whether experienced show growers or keen novices have an equal opportunity to take home 1st prize. The competition has a prize fund of £150 with prizes of £65 for first place, £35 for second place, £25 for third, £15 for fourth and £10 for fifth place. 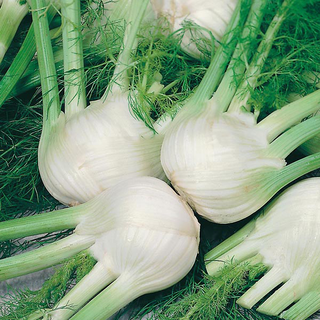 The class is for a dish of three fennel bulbs which will be judged as per NVS rules and guidance. The competition is a great opportunity for growers to try something new and as all entrants are using only seed supplied from D.T. Brown, this removes any advantage growers might have growing different cultivators. Fennel Florence Chiarino is available in the D.T. Brown 2019 range and is sold in packets containing 250 seeds, costing £2.09 and is ready to sow outdoors from March. Beetroot Subeto F1 is also available in the D.T. Brown 2019 range and is sold in packs containing 200 seeds, costing £2.19 and is ready to sow outdoors from March onwards. D.T. Brown Relaunches New and Improved Site – Order For Your Plot From the Plot!